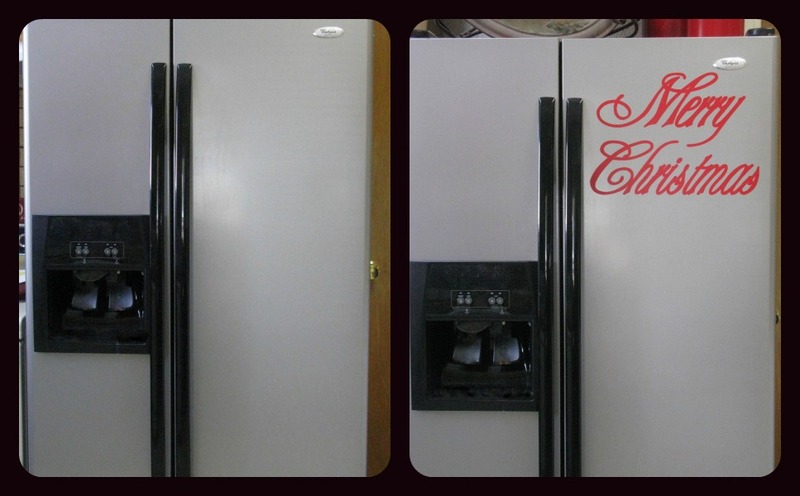 Here is a fun Christmas vinyl I made for my fridge. It brightens up my kitchen. I am going to give one away. All you need to do is enter below! Merry Christmas from Helen's Decor! Oh my gosh your blog is amazing! I'm a new follower via Twitter, Pinterest, & Bloglovin. I can't wait to see new post. The vinyl is so cute! I found ya on the weekend blog hop. I hope your having a great weekend. Oh, I love it!! It would look great on my black fridge! Thanks for the awesome giveaway!! Thank you so much for sharing at It's Beginning to Look a lot Like Christmas party! We are so thrilled to have you join in the fun!! I LOVE vinyl lettering!! You are so talented!! We hope you will come back this week! Thanks so much for sharing at Wednesday's Adorned From Above Blog Hop. This weeks party starts at 12:01AM on Wednesday and runs through Sunday night. Have a great week.